There are several benefits to electric bikes and eBike conversion kits. We are going to cover as many of these as possible on this page! As you have a motor on your electric bike, getting around is going to be a lot quicker. This makes an electric bike perfect for getting to and from work. 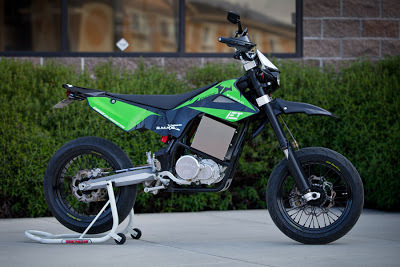 Honestly, you will be surprised at how fun it is to ride an electric bike. When you are riding a bike, you can’t really relax. You are focusing all your energy on ensuring that you can keep the bike moving forward. You do not need to worry about that with an electric bike as you have a bit of extra help from the motor. You are able to relax and enjoy your surroundings. Of course, it is still nice to pedal a bit from time to time, but it is not necessary. When you have the motor on your electric bike turned on, you have to put in less effort when you are cycling. This means that it will take longer to ‘deplete’ your energy. This means that you will be able to enjoy longer cycling trips. Of course, the fact that you need to put in less energy to cycling means that you are going to be sweating less while you are on the bike. This means that you do not have to wear ‘special’ cycling equipment when you are out riding. For example; on your commute to work, you could easily cycle in wearing your work clothes. Due to the way in which electric bikes and eBike conversion kits have been designed, it should be a whole lot easier for you to tackle hills. If you live in an area which is full of hills, then you will love to own one of these bikes. Your ride will have suddenly become a whole lot easier! If you are a regular cyclist and have an injury in your leg, you really do not want to be giving up cycling for long periods of time. One of the major benefits of this type of bike is that you do not have to! These bikes are less damaging to your knees and joints because you need to put less effort into cycling. Due to this benefit, electric bikes may also be great for those who are suffering from chronic conditions such as arthritis. In many countries, you need a driver’s license to operate an electric bike because they are classed as a ‘vehicle’. That is not the case in the United Kingdom. They are classed as bicycles. This means that no license is required. In addition to this, it means that you are going to be able to cycle in the bicycle lanes! This is also going to help to speed up your journey.